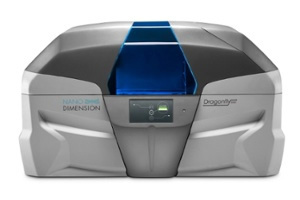 NESS ZIONA, Israel- August 24, 2016 – Nano Dimension Ltd., a leader in the field of 3D Printed Electronics (NASDAQ, TASE: NNDM), announced today that its wholly owned subsidiary, Nano Dimension Technologies, has supplied the first DragonFly 2020 system designated for 3D circuitry and PCBs. The supply was made to a leading defense company in Israel for evaluation purposes and is expected to be installed at the partner’s site in the coming days. This press release contains forward-looking statements within the meaning of the “safe harbor” provisions of the Private Securities Litigation Reform Act of 1995 and other Federal securities laws. Words such as “expects,” “anticipates,” “intends,” “plans,” “believes,” “seeks,” “estimates” and similar expressions or variations of such words are intended to identify forward-looking statements. For example, we are using forward looking statements in this press release when we discuss the installation of our system, commercialization of our products and completing production of more printers destined for additional partners and customers in Israel and around the world. Because such statements deal with future events and are based on Nano Dimension’s current expectations, they are subject to various risks and uncertainties and actual results, performance or achievements of Nano Dimension could differ materially from those described in or implied by the statements in this press release. This entry was posted in News and tagged Amit Dror, Dragonfly 2020, Nano Dimension Ltd, Nano Dimension Technologies by AM. Bookmark the permalink.